As a Yorkshire Wedding Photographer, my wedding products have to be cutting edge. I need to satisfy my insatiable appetite for the perfect presentation. My clients love my passion as it means they always get fantastic shots of their day. 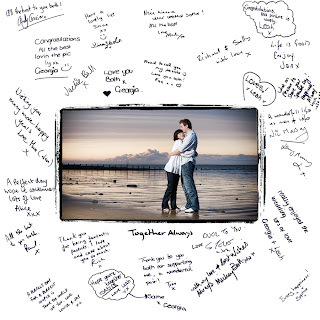 A great example of such a product is my wedding guest’ signing board. 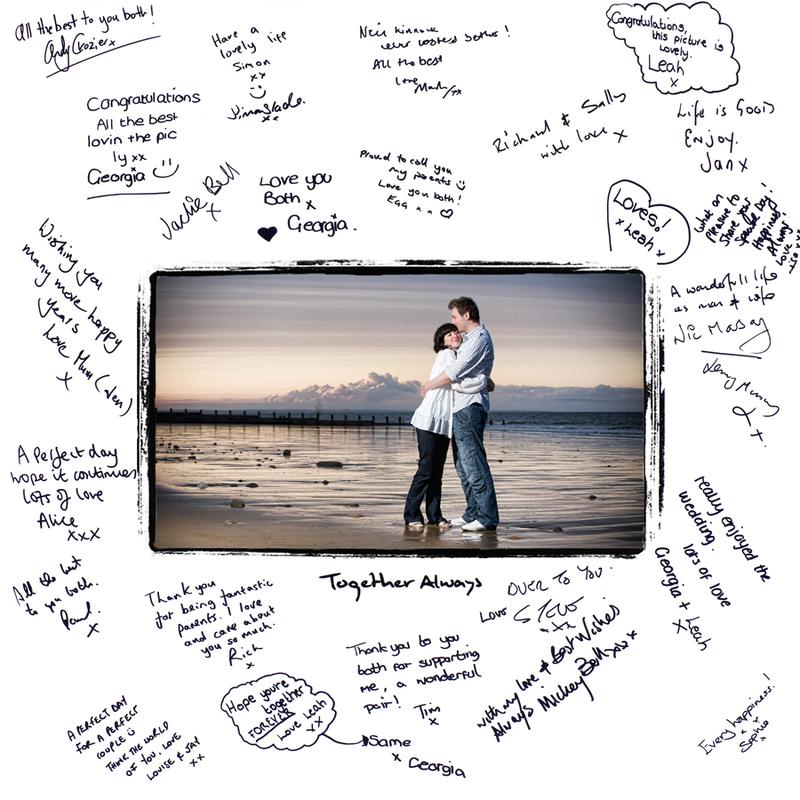 Every wedding I shoot gets one of these alternative wedding guest book ideas to treasure. The signing board is a superb alternative to the more traditional signature book. To be honest, if the Bride and Groom’s Mums don’t take the traditional book from table to table, it doesn’t get signed! The signing board for my clients takes pride of place usually near the top table or the wedding cake. It is a beautiful visual to greet guests as they they enter the wedding breakfast room. As soon as one guest signs the board, the floodgates are open. The board gets filled throughout the rest of the day with lovely comments. The piece is a tremendous keepsake which I usually end up framing for the vast majority of my couples. The signing board has become a real focal point at weddings that I attend. The shoot that provides the image for the board is a fab way for myself and my couples to re-connect too. We often go 18 months without seeing each other between the booking and the big day. This shoot allows me to get couples comfortable in front of the camera and develop trust. It’s also an incredibly touching reminder of your day. Want to find out more about the Insight Photography experience? Get in touch.